Teesside Univerity’s cheerleader team is set to take part in a national competition to find the best routine in the country. 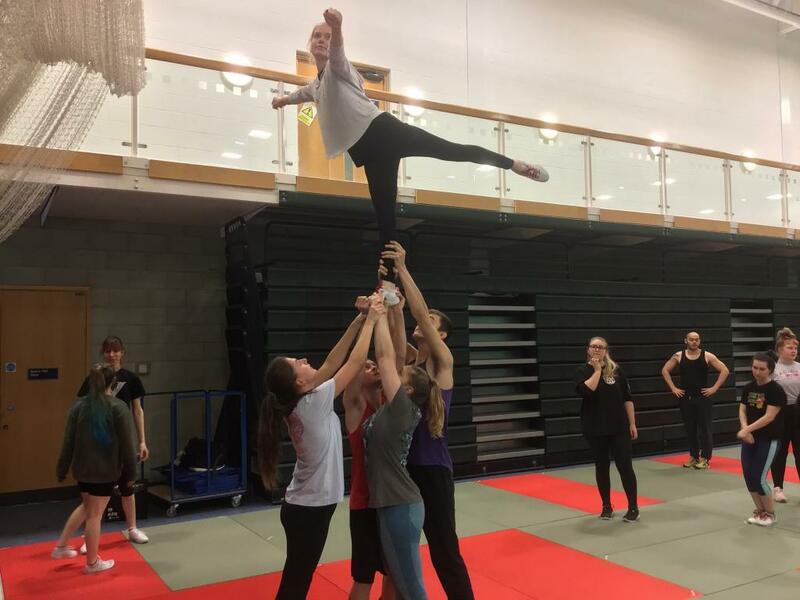 The Wildcats are currently training for the event which takes place in Newcastle in January and will include cheerleader teams from around the country and other universities. The Team has a strict training regime which includes a mixture of stunts, jumping, dancing, tumbling and gymnastic skills and is tailored to prepare for competition. Teesside Wildcats are divided into two different levels which are Ambush (level one) and Dynasty (level two) and train several times a week. They are a friendly bunch of males and females who are open to new faces no matter your background or experience. Team Chairman Jamie Smith said that being a previous gymnast has helped but is not eesentail. “A lot of people don’t realise what cheerleading is, they think it’s all pompoms and ribbons. If you are interested in joining the Wildcats you can do so via Facebook where their page is Teesside Wildcats 18/19. Team Captain – Opi Jones talks about the Wildcats. Team Chairman – Jamie Smith talks about being involved in cheerleading. Story submitted by Mark Richardson and Charles Cavilla.